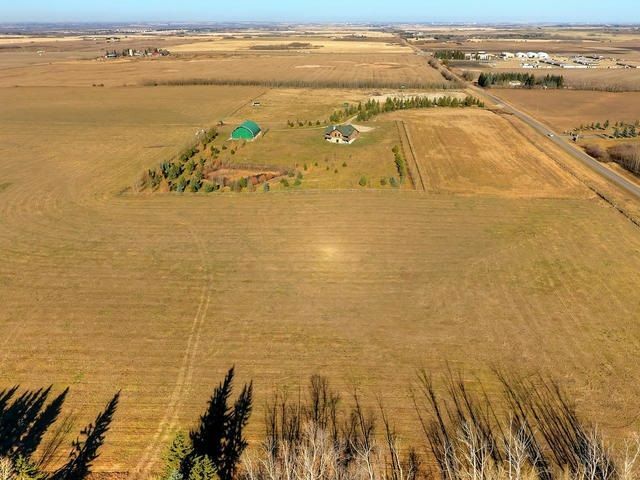 171 Acres just south of the Yellowhead and east of highway 21 (RR 225). Classified as "Development Expansion Area" or "Local Employment Policy Area" in Strathcona County's new Municipal Development Plan this property offers much potential... light industrial or commercial are just a couple of use options. Currently there is a newer walkout bungalow, quonset and fencing for livestock on the property making it a great holding property or develop now. GST may be applicable. Directly south of Yellowhead on RR 225.